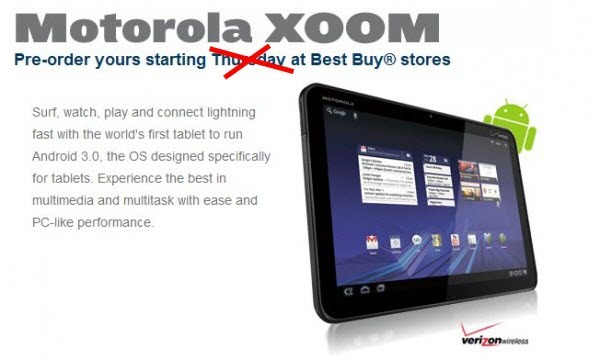 Last week, our friends at Best Buy told us that a pre-sale for the Motorola XOOM would begin on February 17th and when the landing page for it accidentally went live a few days later confirming that, most of us had already scheduled our Thursday trip to a store. Well hold on to those car keys, folks. We’re hearing now that the pre-sale may have been moved to the 20th to comply with some sort of Motorola request. 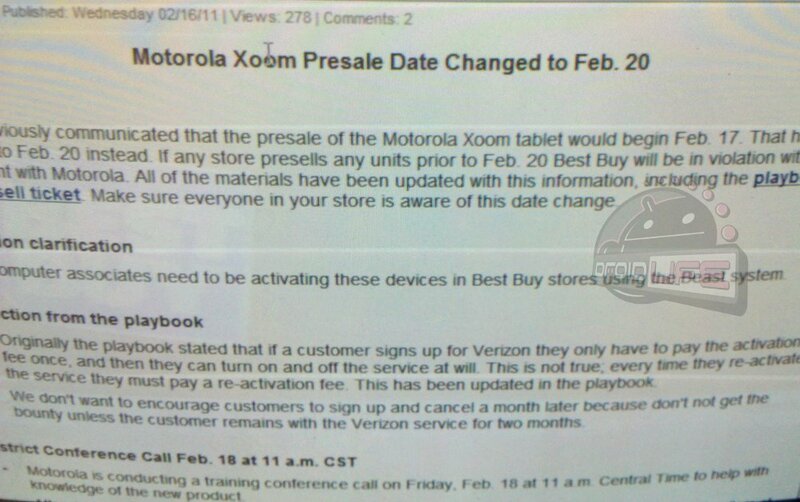 Update: We’ve just received confirmation from Best Buy that the XOOM pre-sale has been pushed to the 20th. You should also know that you won’t be able to re-activate the data package on this device whenever you like at no cost. An activation charge will be enforced each time you re-activate. Cheers that dude and ____!